Sometimes I wonder what goes on at the UNGA, other than bad traffic jams on the East Side of Manhattan, lots of expensive parties, and a few bombastic speeches. I’d pay good money to see a study of UNGA outcomes, including any major policy advancements, any true changes in attitude from the crazy maelstrom of talking that goes down every year by the East River. In today’s world of mass air travel, teleconferences, and a myriad of meetings that punctuate the schedules of diplomats and heads of state, what does the UNGA really accomplish other than a great week for NY hotels and a hole in diplomatic travel budgets? On a serious note about diplomacy, I have been meaning to repost a friend’s great piece from over at No Se Mancha. Have a read of Teddy Kahn’s analysis of why the TPP is a “big deal”, both for the parties involved and the broader world of trade negotiations. This month was a busy one for Latin American trade negotiations. In Brunei, the Trans-Pacific Partnership (TPP) wrapped up its 19th round of talks with officials insisting an agreement would be finalized by October. Meanwhile, the foreign ministers of Chile, Colombia, Costa Rica, Mexico, and Peru finalized the commercial and economic components of the Pacific Alliance. The two initiatives are generally assumed to be complementary (and beneficial) for Latin America’s most open economies. Are they? In the world of multilateral trade negotiations, the Trans-Pacific Partnership is kinda a big deal. With the recent arrival of Japan at the negotiating table, the agreement now includes the world’s first and third largest economies and encompasses roughly 40 percent of global GDP. At the geopolitical level, the deal is seen as the economic prong of the much-discussed U.S. pivot toward Asia. 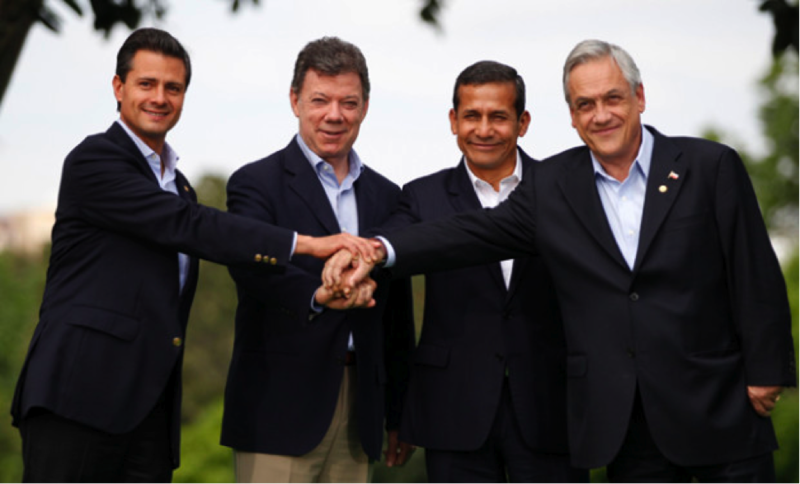 Chile, Mexico, and Peru are part of the TPP, and Colombia would like to be in the future. From the perspective of Latin America’s erstwhile free traders, the TPP holds out the promise of deepening ties with Asia and helping shape the new global trade architecture. Not coincidentally, these four countries are also the lead actors in the Pacific Alliance. Asreaders of this blog know, the Alliance is being billed as the biggest story in Latin American integration since Simon Bolivar succumbed to the evil machinations of Colombian aristocrats (or something like that). Perhaps even ever. So it is natural that the TPP and the Pacific Alliance tend to get mentioned in the same breath. Both initiatives aim to forge closer ties with Asia. Both go beyond eliminating traditional trade barriers to address so-called “deep integration” issues, including financial integration, movement of people, and a variety of domestic policy issues that affect the competitive environment for foreign firms. Importantly, both agreements signal to international investors that these Latin economies – unlike some of their Atlantic-facing brethren – are serious, stable, and open for business. But are the goals of the two integration projects mutually reinforcing? The Alliance, first conceived in 2011 and officially launched in Antofagasta, Chile, in June 2012, has already reached agreements to eliminate tariffs on 92 percent of goods, established an integrated stock market, started scholarship program to facilitate student exchanges, and set up joint trade promotion offices abroad. Costa Rica officially joined the original four members earlier this year, and 20 governments from as far afield as Japan, Australia, and Canada have eagerly signed up as observers. Not a shabby first year. What’s in store for the future? The Alliance states its ultimate objectives as achieving free movement of goods, services, capital and people; enhancing growth and competitiveness among members’ economies; and establishing a common platform to engage with the global economy and in particular with the Asia-Pacific region. Read between the lines, and it is clear that Pacific Alliance leaders want the initiative to help establish regional value chains – supply chains linking the four economies, which exploit economies of scale in order to produce a more diversified, higher value-added basket of goods and services more competitively than any one country could achieve alone. This is a laudable goal, especially for the Alliance’s South American troika, who are eager to reduce their dependence on a small basket of commodities for export earnings. But regional supply chains will not spring up overnight. 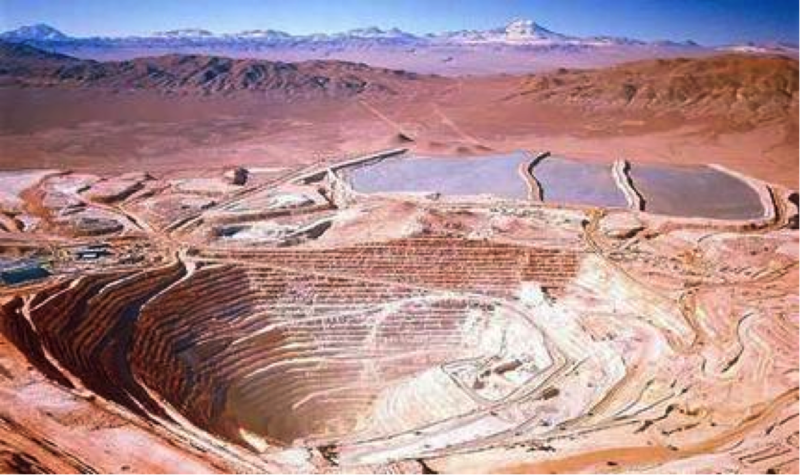 Not surprisingly, the prospect of seamless production chains linking the far reaches of Chile to the industrial heartland of northern Mexico, a longstanding Latin American dream, faces a number of hurdles. One is geography. Santiago is about as far from Mexico City as London is from Nairobi. Making matters worse, the region’s transport infrastructure requires billions of dollars of investment to reach the level of the world’s most competitive economies. Another issue is that Mexico already enjoys a high degree of regional integration – but with North America, not South America. The Mexican economy is closely linked with its northern neighbors through direct investment and complex production chains. The United States and Canada account for 67 percent of Mexico’s trade, a full 82 percent of its exports, and more than US$100 billion of foreign direct investment. If the other Alliance countries are to participate in Mexico’s industrial boom, governments will have to design and implement policies that seek identify the most promising opportunities and directly support firms attempting to enter those sectors. 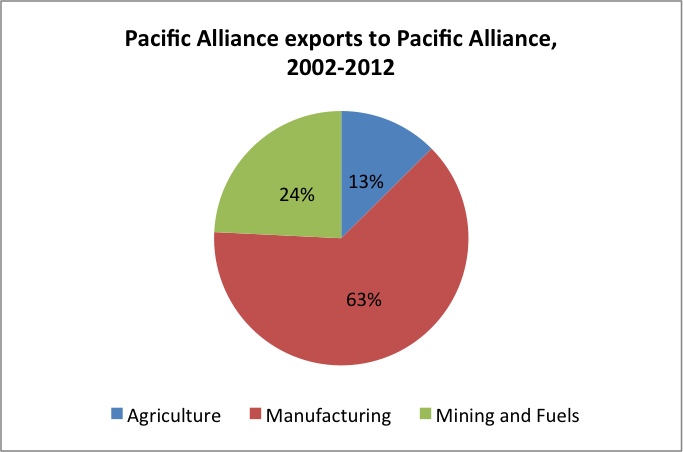 More generally, if the Pacific Alliance wants to create new trade and diversify its economies, active government policies – ranging from financing for cross-border infrastructure projects to investment in industry-specific education and training and, importantly, direct incentives for those sectors with potential for regional production chains. 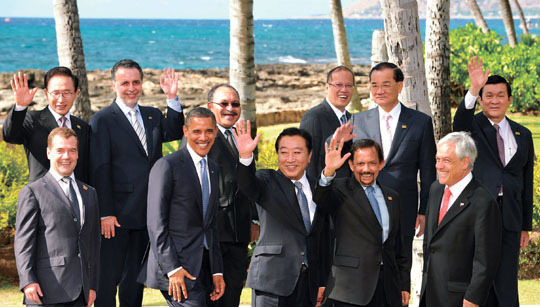 How does the TPP fit into this discussion? As mentioned earlier, the promise of the TPP for Latin American members is basically two-fold: first, deeper integration with Asia; second, be part of the club that establishes the template for “21st Century” trade deals. When it comes to trade with Asia, however, one thing is abundantly clear: the region’s traditional commodity dependence is magnified. These two charts, which show the sector composition of Colombia, Chile, Mexico, and Peru exports to Asia and to each other in the decade between 2002 and 2012. But if these quick and dirty calculations don’t convince you, this comprehensive reportfrom the Inter-American Development Bank should. 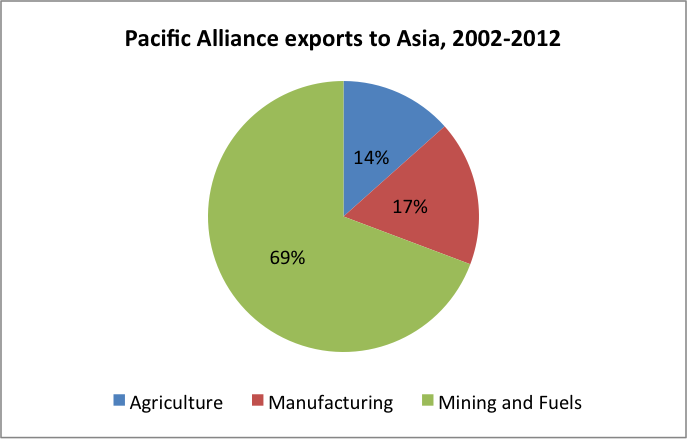 It covers the past, present, and future of Latin America-Asia trade and concludes that a commodities-for-manufacturing exchange has been the dominant pattern since the onset of interregional commerce and will almost certainly continue to be well in to the future, based on econometric estimations of Asia’s demand for natural resources through the middle of the 21stCentury. So at the very least, if the Pacific Alliance countries are serious about creating new trade, diversifying production, and promoting regional value chains, deepening integration with Asia should not necessarily be first on the agenda. But the TPP is about a lot more than trade. The TPP agreement envisions a wide range of trade disciplines on so-called “deep integration” issues. These controversial rules, promoted most avidly by U.S. officials, cover a wide range of policy areas, from financial regulations to intellectual property, environmental laws and state-owned enterprises that have not traditionally fallen under the writ of trade agreements. Their common denominator, however, is to limit what governments can and cannot do in their domestic economic policy. The ostensible goal is to ensure an even playing field for foreign and domestic firms. The flip side, of course, is that any policy that explicitly aims to privilege the development of domestic firms could potentially be challenged under the TPP, which also establishes strong investor protections and the right to state-investor arbitration. In short, the TPP rules could potentially deprive governments in the region of the very policy tools that would be most useful in actively promoting regional production in the Pacific Alliance bloc.